Let us help you find your next office space in Long Beach at no cost to you. Whether it’s a new workspace or a newly remodeled creative class A office building in the heart of downtown Long Beach, we can help find you the ideal office building in the right location at below-market rent. We function 100% on your behalf, …not you and the landlord …just you. The landlord pays the fee regardless, and it simply gets split between two parties instead of it all going to one. At very least, you’ll get a Comprehensive Customized, Fast, Free, Accurate, Wholesale Broker Report at no charge. We saved money. They fortified our negotiation position, and we achieved more savings. Their follow up, attention to detail and strong negotiation skills helped us obtain the most successful transaction possible. We were extremely pleased with their insight, promptness, and efficiency. They greatly improved our bottom line. 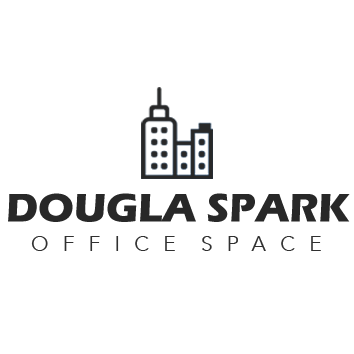 We highly recommend them to find and negotiate any office space in Long Beach. Negotiated for me exactly what I wanted. Thank you for taking all the worry, hassle and time out of the process. George Gibbons	O'Donnell South, Inc.
Scott and Jeff spearheaded our negotiations, reduced costs, added concessions and achieved more TI. They showed us everything, and we found one that met our needs. We literally moved out on Friday and were up and running Monday. The timeliness and lease terms would not have occurred without their help. Scott and Jeff both contributed toward achieving a greater dollar savings on our transaction. Their focus was on leverage. I would recommend their services to anyone interested in obtaining a successful transaction. John Thomson	Thomson Schroeder Inc.
Let’s start with the tangibles. It’s not just open collaborative space with fewer offices, polished concrete, natural light, exposed-duct ceilings, new furniture and expresso. And it’s not just team or huddle rooms, stand-up desks and smarter technology. Efficiency, technology, visibility, and flexibility are all elements too, but creative is a way to retain and attract work talent in an increasingly competitive talent pool. It promote employee well-being. Executing a proper workplace strategy represents real business opportunity not just a design challenge. It can deliver a workplace that makes people healthier and more successful and improves the organization’s performance. Here’s the reality – The landlord pays out the same fees regardless if you use their broker or have your own. There are no cost savings by not having 100% devoted representation. Avoid dual-agency. In-house leasing or brokers’ true allegiance is to the landlord, not to you. Owners & landlords almost never give tenants bottom line economics until there’s competition and representation. Tenants mistakenly believe that representing themselves results in lower rent. Simply, this is not the case. Feel free to ask a question or provide us with your availability.